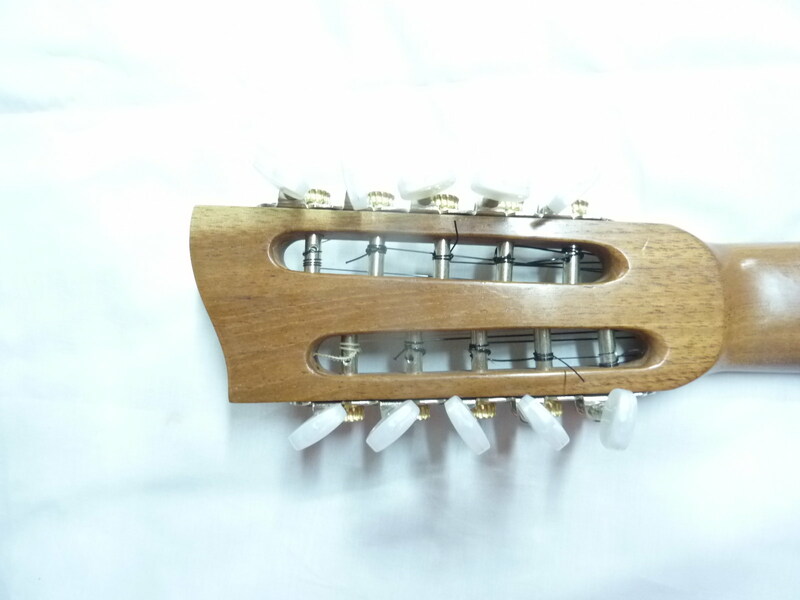 Here is a beautiful charango made in my workshop by my student Pacha. 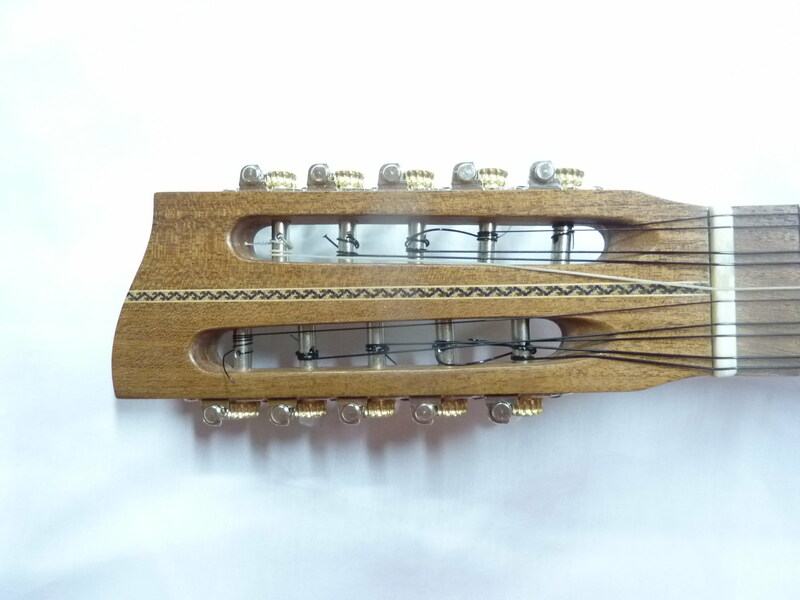 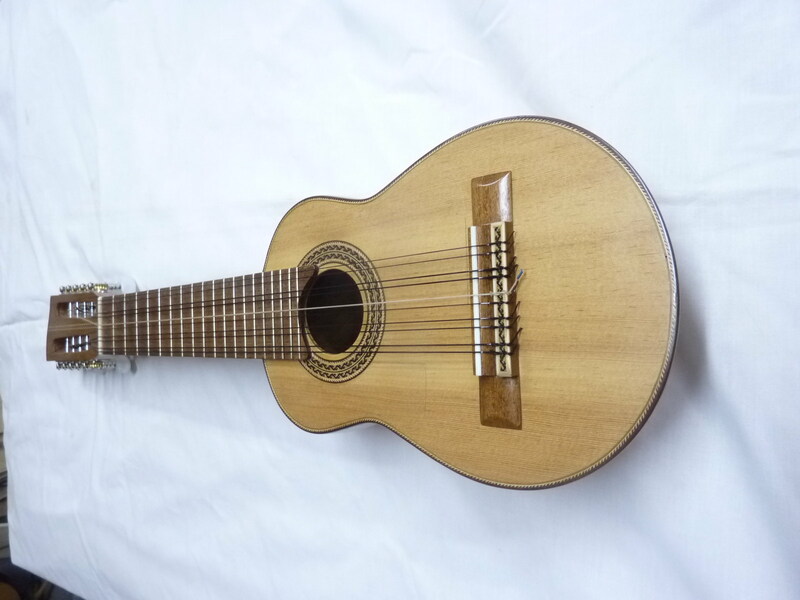 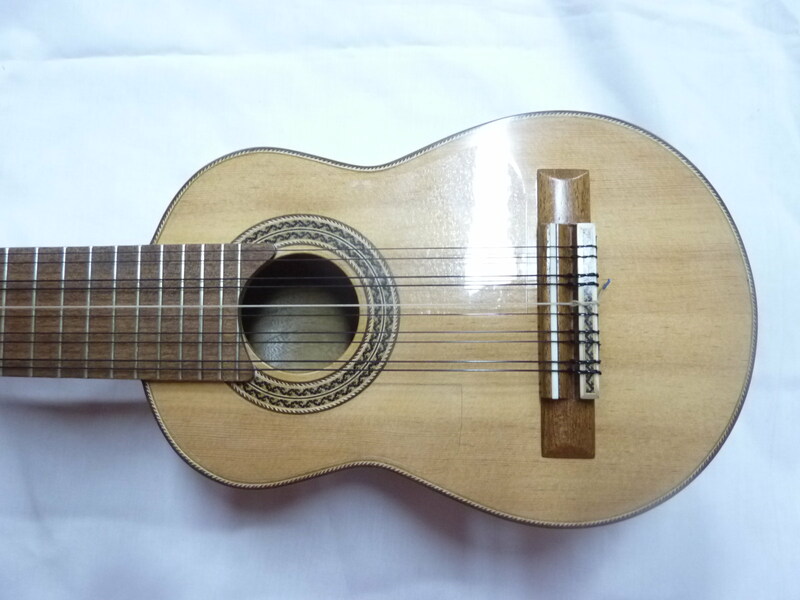 The charango was made using a combination of woods from our land as well as recycled materials. 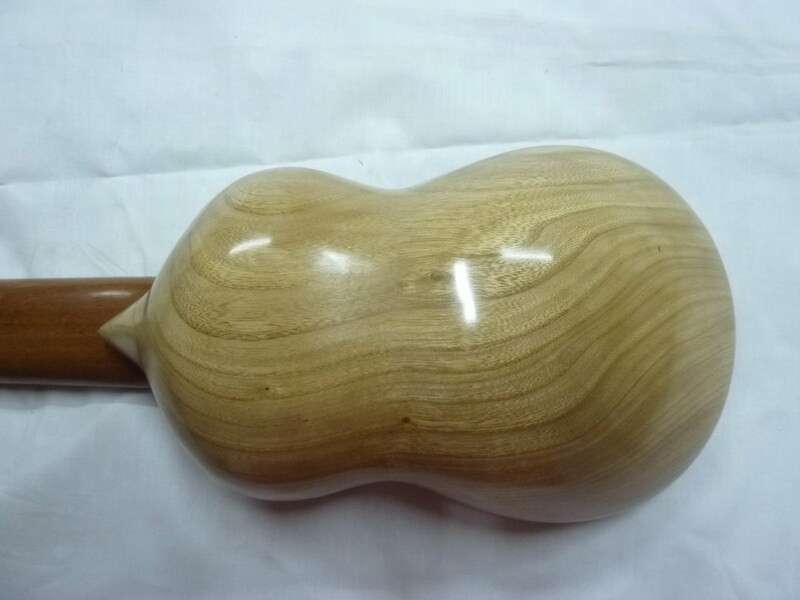 The bowl was made using elm cut here, its made from a single piece carved to be light and resonant. 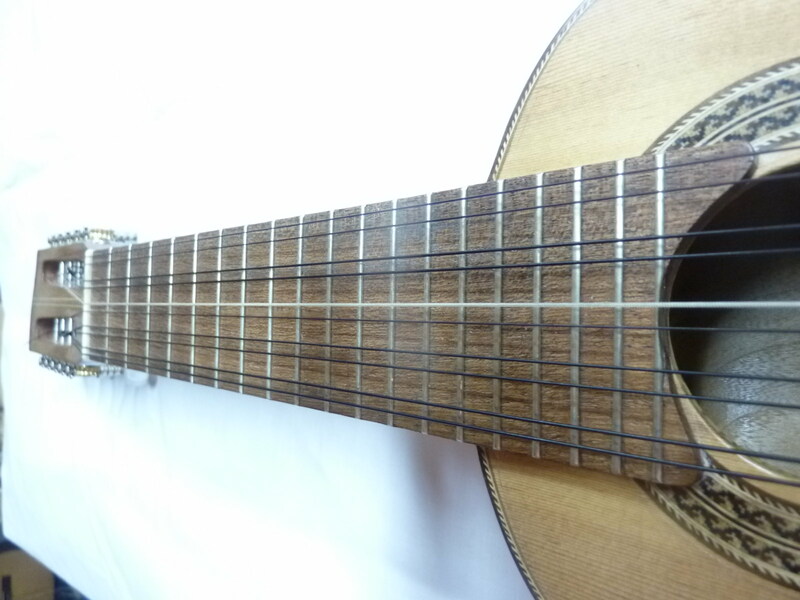 The neck is a piece of Spanish Cedar (cedrella odorata) recycled from an old door and the headstock veneer and fingerboard and bridge is made from algarrobo (prosopis alba) from an old window frame from a dilapidated local mansion. 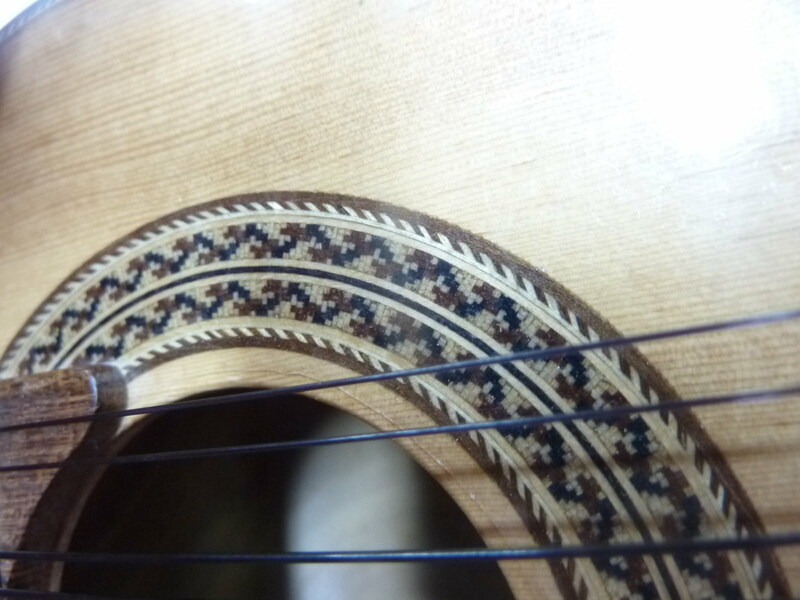 The rosette and herringbone binding are made from walnut and poplar and cedar, many of the veneers were prepared and thicknessed individually. 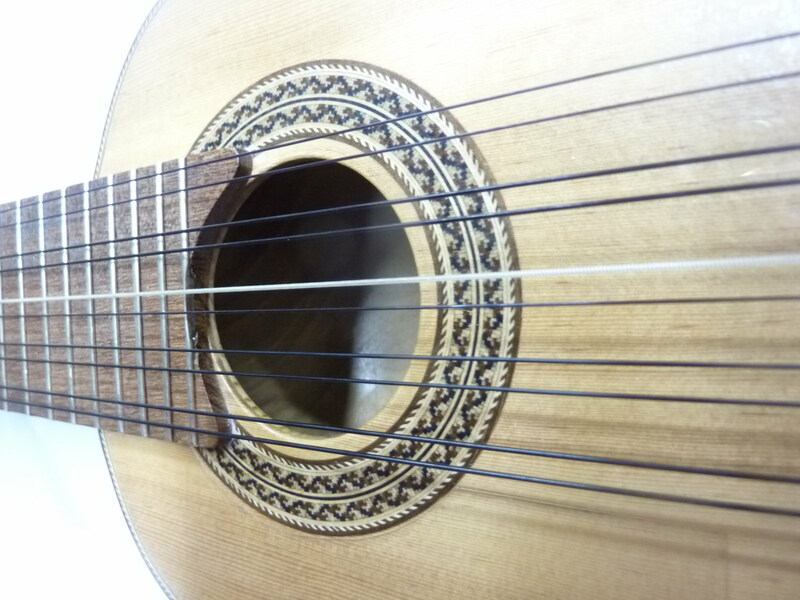 The top is made from Sitka Spruce cut from a slab, it is rigid and tightly grained and thicknessed thin with three fan struts. 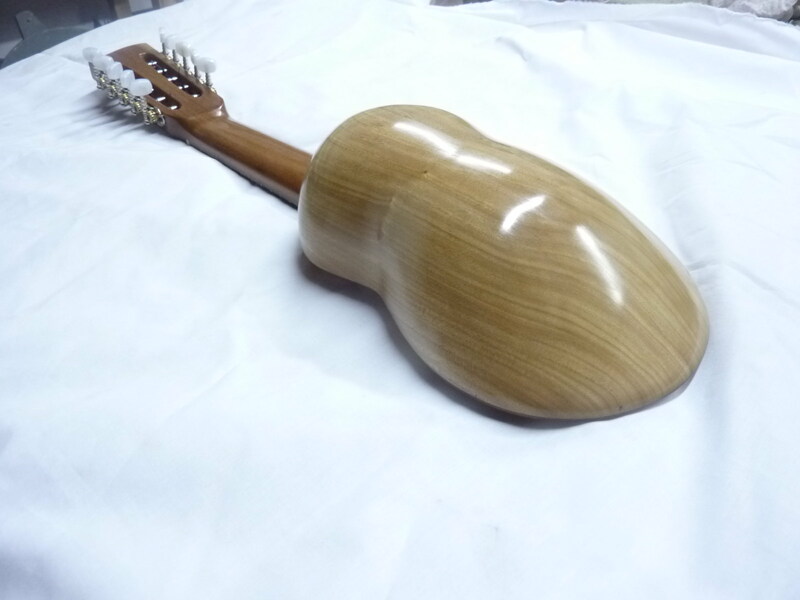 The instrument has been polished using dewaxed blonde french polish.